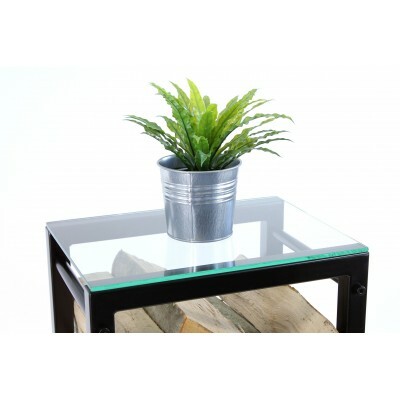 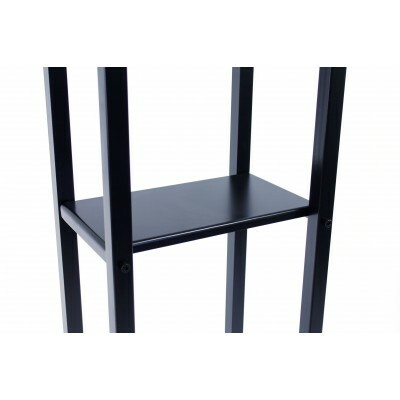 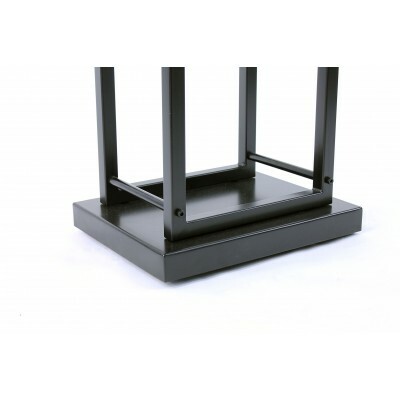 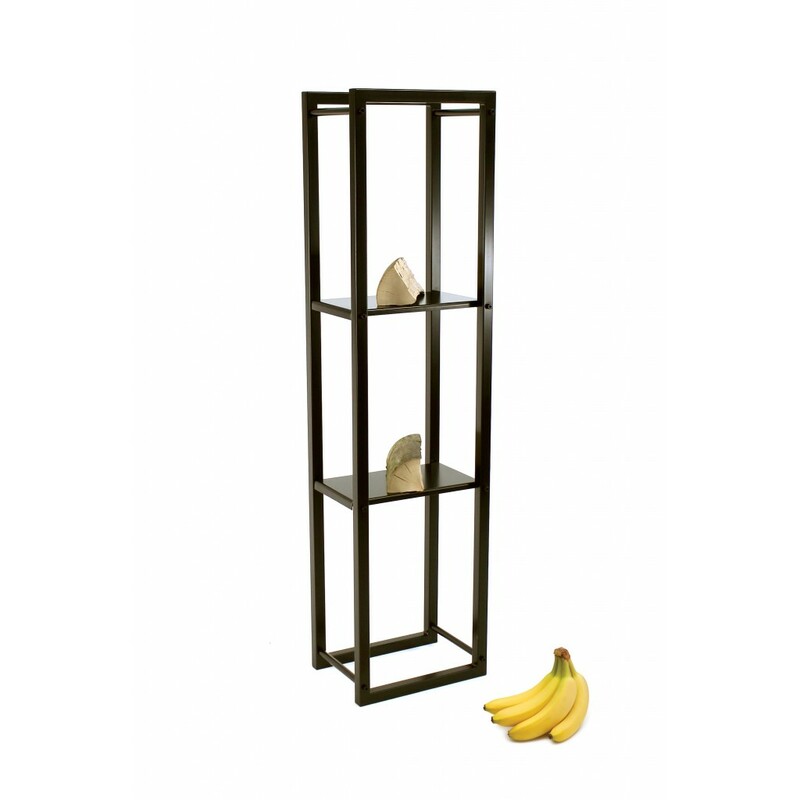 The elegant design of the basic stand is divided by two metal shelves into thirds. 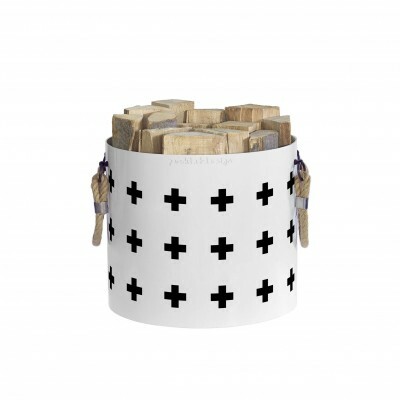 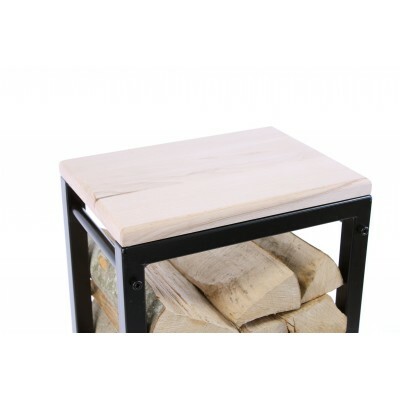 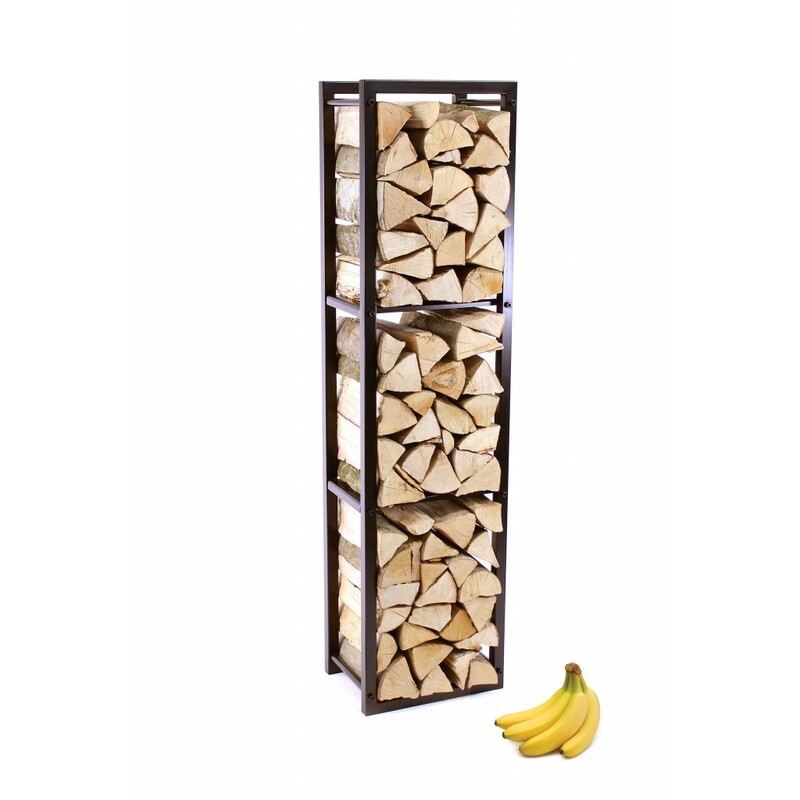 This enables you to divide firewood into three separately drying sections – from my own experience if this rack is only used to store firewood, then I see this one as the most practical. 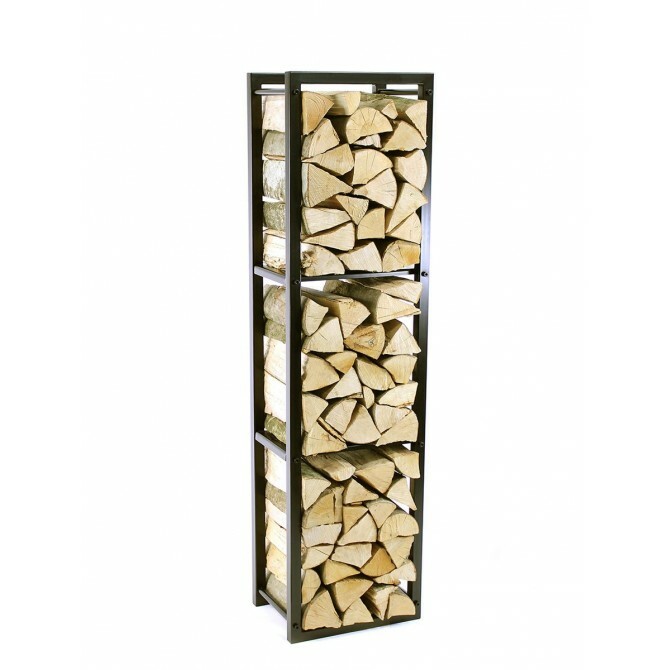 In this stand we managed to solve the fundamental problem of having separate sections for firewood and also a place to keep fire starters. 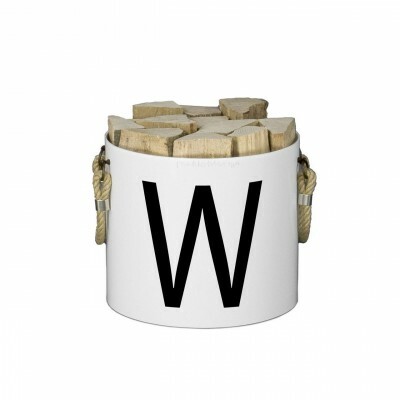 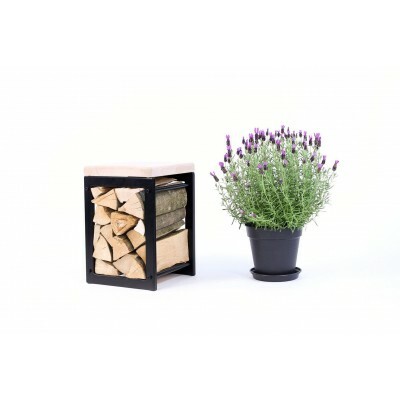 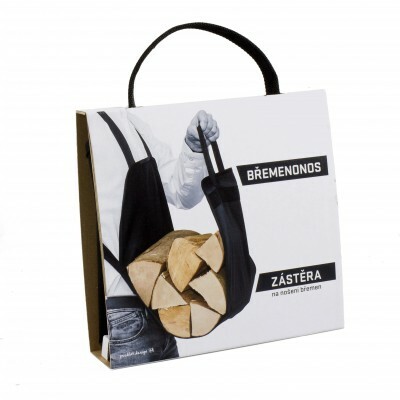 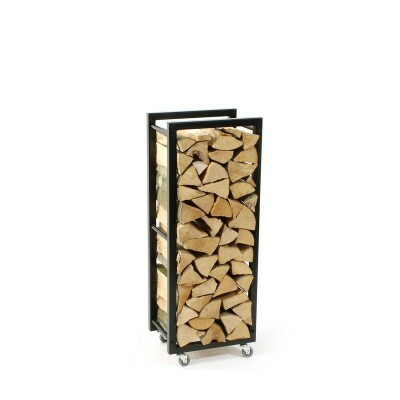 If the container is not split into sections, you have to use up all the firewood before you bring fresh logs inside. 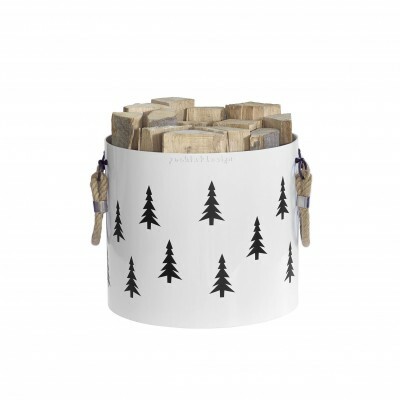 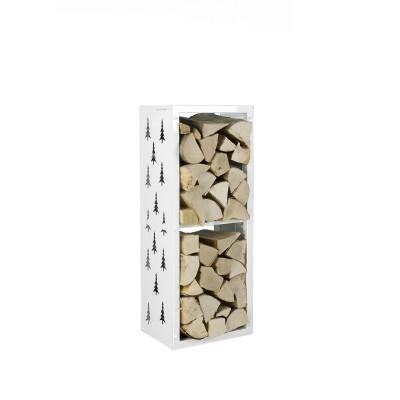 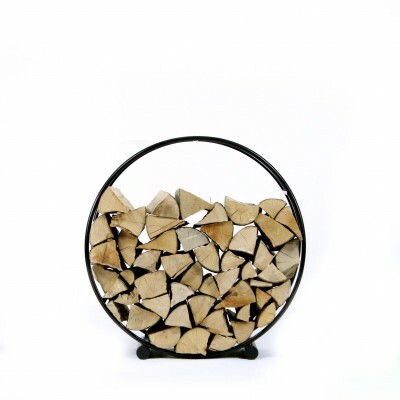 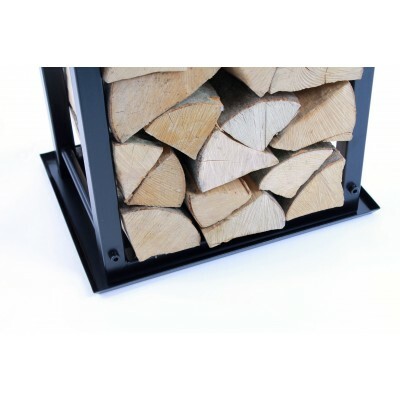 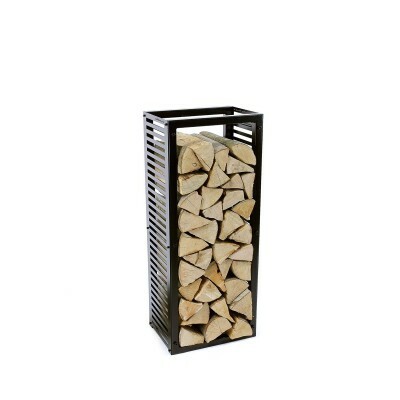 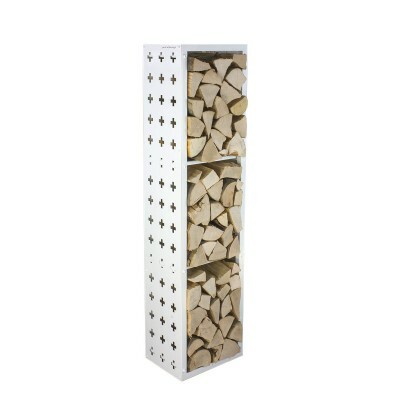 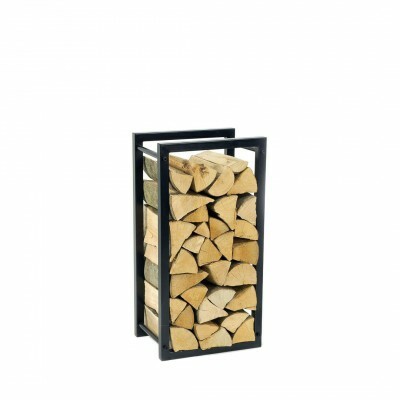 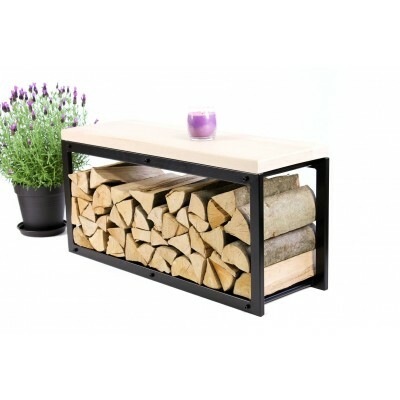 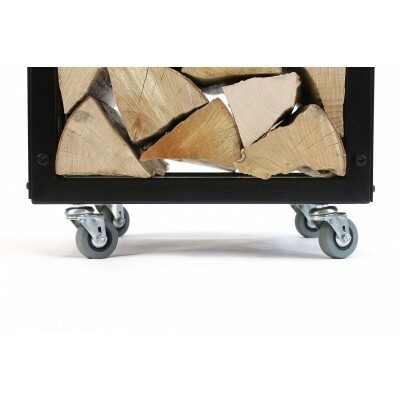 The main purpose of a firewood rack is to let the logs dry in your home therefore if you use up all your firewood from one section, you can fill it in again with the other section remaining intact. 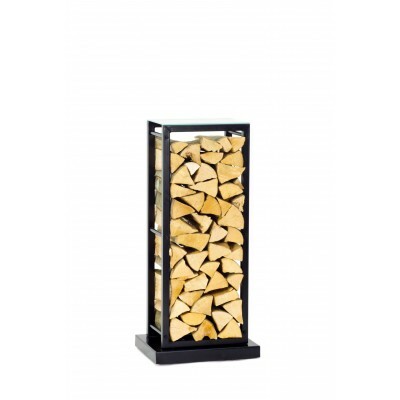 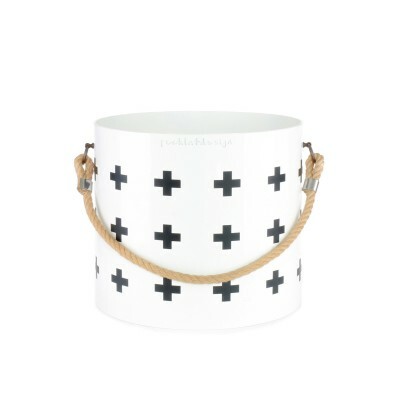 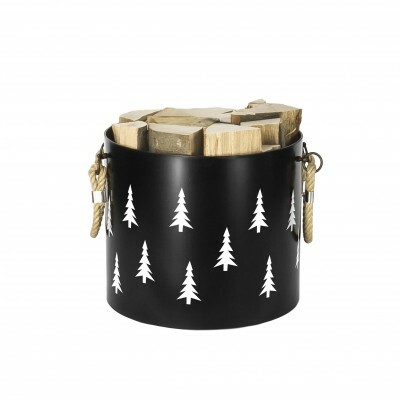 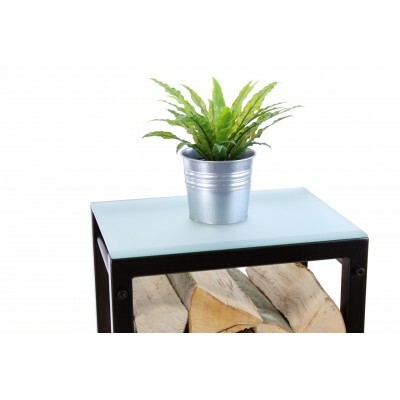 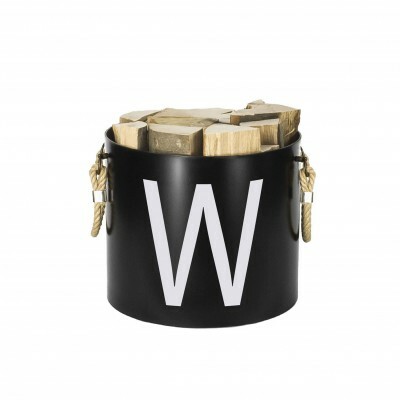 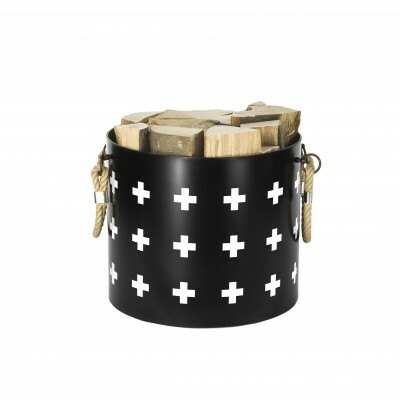 However it is completely upto you whether you decide to use only two compartments for firewood and the third one for fire starters or decorative objects.